Drilling is often not about how deep you can go, but how far you go. 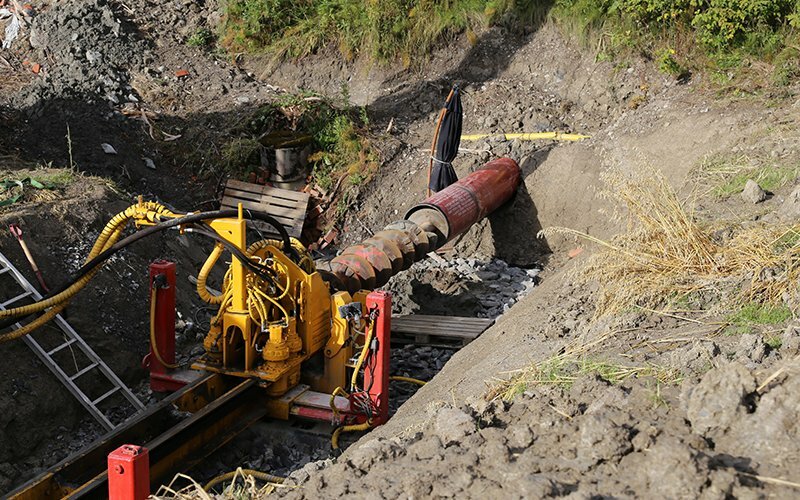 Horizontal drilling is used to lead water, sewage, or cable pipes under roads, rivers, and buildings. There is no need block roads or ruin with extensive digs to the surface. Instead, horizontal holes can be drilled with Robit® Casing System without harming the surroundings. Robit® Casing Systems typically used in horizontal drilling are large diameter tools such as DTH-RoX HZ 406,4/12,7.